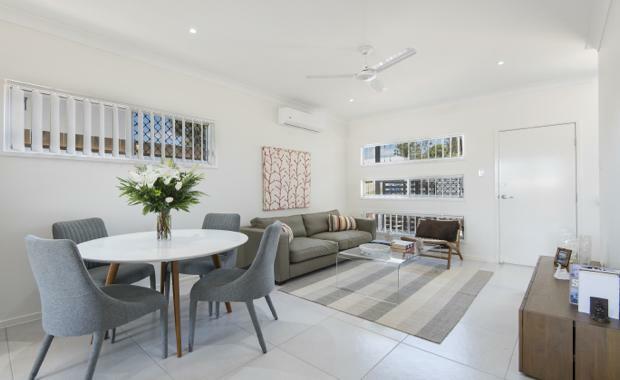 A recently completed project in the tightly held area of Warner, 20 kilometres from Brisbane CBD, revealed that first homebuyers in Brisbane's 'middle ring' prefer the taste of quality townhomes over other styles of living. Indigo, a townhome development by OpenCorp, delivered 38 of its properties all with three bedrooms, two bathrooms and one car space. With barely any townhomes remaining at the completed project, Indigo seemed to respond to large market demand. “With Indigo we found a large proportion of buyers were first home buyers," OpenCorp Director Allister Lewison said. Market demand for townhomes is strong within Brisbane’s middle-ring as buyers strive for low maintenance and affordable housing in developed suburbs. In particular, first homebuyers and downsizers are increasingly looking towards townhomes instead of apartments as they transition into the next stage of their lives. Townhomes are smaller, efficient houses that are designed to still provide all the benefits of a larger house. They are more affordable and require minimal maintenance, an advantage in the increasing time poor lifestyle. One example of this trend was first homebuyer Bianca, a 22-year-old who purchased one of Indigo’s lowset townhomes instead of looking for an apartment. She said it was a better investment opportunity that offers more space and privacy and gives her the ability to easily entertain a large number of friends and family. She said she will eventually turn it into an investment property because Warner, as part of Brisbane's middle ring, is expected to undergo a growth that will potentially drive the demand for suburban townhomes further.